Picked by Sef and RGG EDU as the best display/calibrator combo for the price. - Dell UltraSharp displays are professional grade displays. They all carry Dell's 3 year professional warranty and meet a standard that exceeds consumer grade products. - Sef actually uses two Dell UltraSharp displays for work. Dell UltraSharp displays aren't the best, but they offer some of the best value for the money. They are not quite on the same level as the Eizos or NEC PA line, but they offer comparable features for far less money. - This particular display covers nearly all the color space standards professionals use, which is rare for a sub $1k display. - It is not a 10-bit panel, but it supports 10-bit inputs and can do 1.07 billion colors with FRC. - We opted for QHD over UHD for the 27" size. The difference in resolution is barely discernible and this reduces the need for proper scaling as most operating systems handle QHD perfectly fine. - This thing packs a lot of features... One thing we highlight is the KVM switch built into the display. This means you can have two computers connected with one set of peripherals. So for office users that also use a laptop, you can have your desktop use the display and switch to your laptop on the fly when you need. - This is considered by many the best consumer level calibrator available. Best of all, it's compatible with the newer generation Dell UltraSharp displays and their built-in calibration system. - This calibrator can test for uniformity. Uniformity is one of the biggest issues with backlit displays. Taking a few backlights to light up millions of pixels evenly is incredibly difficult challenge for many companies. With this calibrator, you can measure the differences across the entire display to see how uniform your display is. Dell UltraSharp displays generally have good uniformity, but on occasion there are cases of customers receiving defective panels in their monitors with uncharacteristically poor uniformity. Extreme cases are covered by Dell and can be swapped under warranty. FYI, even the best displays do not have perfect uniformity. In fact, it's impossible for LCD displays to have perfect uniformity. - Having accurate color is crucial for delivering the best results to your clients. For web, sRGB is the standard. For photo work, Adobe RGB is king. For Video, REC 709 and DCI-P3 takes the crown as the current standards. The calibrator can do all of the above and the monitor/software can switch color space modes to enable the user to view their jobs correctly. - It can calibrate nearly everything... this may be limited to the hardware, but the i1 Display Pro can even calibrate projectors. Do note that ambient light is a big factor when calibrating your display. Try to setup your workspace in an area with controlled lighting. If that's not possible, have your calibrator set your displays up for the conditions (multiple presets eg. Bright Room and Dark Room) you work in. To enter this giveaway, use the app below to submit your entries. Terms and conditions are also below. Good Luck! No purchase is necessary to enter or win. Entrants of this Giveaway must be 18 or older to enter. This giveaway is only open to residents that have Amazon localized storefronts: United States, Canada, Australia, Brazil, France, Germany, India, Italy, Japan, Mexico, Netherlands, Spain, and the United Kingdom. By participating, the entrant (“You”) agree to be fully unconditionally bound by these Rules, and You represent and warrant that You meet the eligibility requirements. In addition, You agree to accept marketing and decisions of RGG EDU as final and binding as it relate to the content of this giveaway. We will be accepting entries starting the May 17th, 2017 at 12:01am CDT and ending June 18th, 2017 at 11:59pm CDT. The giveaway must be entered by submitting an entry using this online webform. Entries that are incomplete or do not adhere to the rules or specifications may be disqualified at the sole discretion of RGG EDU. If y use fraudulent methods or otherwise attempt to circumvent the rules, your submission may be removed from eligibility. There will be one Winner of this Dell Monitor and X-rite Calibrator giveaway. They will receive one X-Rite i1 Display Pro Calibrator and Dell UP2716D, retail value of $950 US. No cash or other prize substitution shall be permitted. The prize is nontransferable. Any and all prize-related expenses, including without limitation any and all federal, state, and/or local taxes, shall be the sole responsibility of Winner. Acceptance of prize constitutes permission for RGG EDU to use Winner’s name, likeness, and entry for purposes of advertising and trade without further compensation, unless prohibited by law.The odds of winning depend on the number of eligible entries received. Winner will be selected by random. Winner will be notified by email within five (5) days following selection of Winner. RGG EDU shall have no liability for Winner’s failure to receive notices due to spam, junk e-mail or other security settings or for Winner’s provision of incorrect or otherwise non-functioning contact information. If Winner cannot be contacted, is ineligible, fails to claim the prize within 5 days from the time award notification was sent, or fails to timely return a completed and executed declaration and release as required, the prize may be forfeited and an alternate Winner selected. Creative Photoshop Techniques with Renee Robyn Now Available! For composite photographers, creating images is bound only by imagination. Dream like photographs with incredible realism can be built from a series of different, and often unrelated, components. Renee Robyn is know across the globe for her ability to push the limits of Photoshop in building her unique composites. Watch free excerpts now by clicking the button below. 'Par for the Course' has completed, but the show must go on. Our next video series includes RGG EDU instructor, Pratik Naik. In this 20 part series, we dive into the Business of Retouching. Click the thumbnail above to start watching. New episodes will air twice a week on Facebook/Youtube. To sign up for updates, click here now. For more on Pratik, head over to www.RGGEDU.com to check out his tutorials. Ready To Go Further In Photoshop? 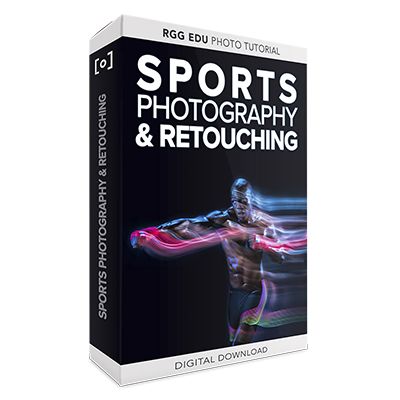 Last week we released one of our most advanced courses on retouching portraits. Taught by Pratik Naik, of Solstice Retouch, this tutorial gives you an advanced look at 5 common retouching workflows for Mens, Portrait, Headshot, Lifestyle, and Beauty. Free sections are published under the link below. This contest was held in our private RGG EDU Facebook community with the simple instructions of find and shoot a subject wearing Calvin Klein underwear and post to Instagram under the hashtag #RGGEDUKLEIN. Simple direction that could be taken in any direction. The winners will receive a $125 gift card to the RGG EDU tutorial store. This image is a great use of natural light and the use of shadows from window panes. Stellar pose complementary to the models legs, extended feet to accentuate length, and great overall styling thats simplistic. This is a great black & white studio shot. Great retouching in post and Robert captured a stellar pose in the moment. Great direction, styling, and subject. Another stellar B&W studio shot with an excellent use of flags or spots/grids. Shooting tethered is a great workflow for creating images. It allows you to be more collaborative, more creative, minimize out of focus shots, see detail you simply can't on the back of your LCD, instantly add color grades with programs like Lightroom and Capture One Pro, and backup your data as you work. This 24 part series is a free introduction to shooting tethered and studio basics that will help you setup a workflow that suits your needs and your budget. I spent several years working as a digital tech before launching RGG EDU and I know how intimidating shooting tethered can be. While it does add cost up front, it really allows you to get better photographs on-set and spend less time in post-production culling and filtering through your library of images from the shoot. We created 5 videos dedicated towards gear options available for almost any tethering situation. From simple basics in studio, to complex on-location, and high-end studio setups. These sections will outline the gear you need to create an organized workflow. We highlight great gear from companies like Tether Tools and Inovativ. In this sections we wanted to explore different options for hard drives in every step of your workflow. Each drive serves a different purpose in digital capture, backup, and archive. Download the entire tutorial now. In this section Brad from Capture Integration joins us from Atlanta to explore an organized capture workflow. Brad may be one of the most knowledgable techs in the industry and is the lead problem solver at Capture Integration. In this section we travel to Kentucky to visit Clay Cook in his studio to explore his gear, his workflow, and his approach to shooting tethered. Enjoy quality tunes while you retouch. Not wanting to disturb the neighbors? Slap on the studio monitor headphones for complete isolation. Keep things backed up with 4TBs of storage. Everything in this workstation is designed to optimize your workflow and provide some zen to your creative workspace. So how do you sign up for a chance to win $1300 worth of goodies? Details below. There will be 3 winners and one grand prize of the Ultimate Workstation. The two other winners will take home a Wacom Intuos Photo Pen and Small Tablet. Three winners will be drawn at random live via Facebook April 7th, 2017 at 12pm. The grand prize contains 9 items with a retail cost of $1300: KRK Rokit 5 speakers ($299), Beyerdynamic DT 770 Pro ($199), Phone Charging Dock ($20), G-Technology 4TB USB3 External HDD ($199), Wacom Intuos Pro - Small ($249), RODE Podcaster USB Microphone ($229), Samdi Wooden Monitor Stand - Walnut ($40), Avantree Headphone Stand/Holder ($30), and Anikks USB 3.0 Mutli-Card Reader ($30). Second and Third Prize Winners will receive a Wacom Intuos Photo Pen and Small Tablet. The odds of winning the prize depend on the total number of qualified entries received. To qualify for entry in the drawing, any of the following requirements must be met: (1) Purchase Pratik's Retouching Beauty and Portraits RGG EDU tutorial - or - (2) Subscribe using this form with your valid Name and Email. No Purchase is Necessary to enter. Contest is open to everyone 18 years and older and located to a registered shipping location where tracking is available via USPS. Q&A: What Can I Do to Improve My Portfolio Site? Homepage of our very own Rob Grimm. At a previous job, I managed marketing and an ambassador team of over 200 photographers. The job left me jaded as I would wake up every morning to an inbox flooded with emails from aspiring pros and established photographers looking to get notoriety for their work. It got to the point of image overload where everyone’s work started to look the same. Good work was no longer good and great work was few and far between. However, when something stood out, it was usually bad or really good. Having said that, I have some feedback I know will be beneficial to somebody looking to build a better portfolio site. First and foremost, it’s important to realize what the intended purpose is. Are you trying to attract clients and work, or are you just trying to show off your best photos? Your website is the first impression of you to viewers who do not know you. It’s better to assume that people visiting your site know nothing about you. Leave visitors with intrigue rather than questions. Also think, if you have 3 seconds to hook the attention of the viewer, what can you post first that will cause them to want to see more. If you’re an unknown entity and needing help being discovered, SEO (Search Engine Optimization) is more than just a marketing buzzword. Most people acquire visitors from Google, Facebook, and Pinterest. Knowing where your audience is will help you better keyword your photos and posts to move you up search ranks and therefore increase visibility and site traffic. While sites like SquareSpace are easy to setup and use, platforms like WordPress allow for a little more flexibility and better SEO tools to help you boost your search ranking. Outside of using a mobile friendly platform, below are four easy things you can do to help with SEO. (Meta)Tagging - Proper tagging of your images will allow your work to show up in image searches and provide some breadcrumbs to lead people back to your site. This is crucial for those looking to boost their visibility on Google and is easy to do. You can do this in post software or simply right click to view properties or get info on Mac. What also helps is to title it properly using your name, subject name, and location name as part of your naming nomenclature. Eg. Location-Subject-Date-Your_Name. For step-by-step directions, you can visit this link. Blog - Type in a city, photographer, and genre into Google and look at the top 5 results. What you’ll see 99.9% of the time is part of their site includes a blog. There are many reasons why implementing a blog is important to your site. It is where you can express who you are and an archive of content related to your target audience. A blog is also an effective way to increase your keywords, decrease bounce, and a place for personal projects not relevant to your primary subject matter. Content is king on the internet, and the more content and engagement (comments) you have, the more likely you’ll show up on search. Who knows, your article may make it viral and be linked by established media, which will skyrocket your search ranking. Know your specialty, sometimes less is more. This is where everything comes together. If you want to be a portrait photographer, have lots of portraits (For me, it’s a turnoff when I see the same subject from the same shoot multiple times). If you’re getting started, have your homepage be your best image, followed by a library of your best works separated by related genres. The more, the better - as long as the work is quality and there’s variance between the images. Going back to my days hiring and sponsoring photographers, I was immediately turned off when I would visit a site and see a hodgepodge of images like urbex, weddings, and action sport. While they may be that individual’s best work, they should not go together as it confuses the messaging. Imagine if you’re a prospective client looking for a wedding photographer and you see images of a snowboarding along with engagement photos. You can mix content as long as it relates to each other, but try to emphasize a singular message. If you shoot landscapes and want to do commercial landscape work with people, have images of landscapes into one tab, and put advertising type work into another tab labeled “People” or “Advertising”. If you want to promote yourself shooting unrelated subjects, put it in your blog, create a separate site for altogether, or have a tab called personal projects and organize it in a body of work. If you shoot landscapes and want to do commercial landscape work with people, have images of landscapes into one tab, and put advertising type work into another tab labeled “People” or “Advertising”. Social Links and social sharing integration. Make it easy for visitors to share your work and to follow you. All platforms should have a plugin for social links and easy image/page sharing buttons. This will increase sites linking in, which will boost your SEO ranking as well. Got a suggestion or a comment? Let me know below. This week we spotlight longtime RGG EDU customer, Jan Christian, one of our biggest supporters having bought 8 tutorials in the last two years. Jan is not a full-time working pro yet, but you wouldn't know that by looking at his work. His passion for photography sprouted about a decade back at the beginning of the digital boom. However, things didn't get serious with portraiture until he got his first flash kit from Jinbei in 2014. Unfortunately, the Jinbei kit wasn't up to the task needed to properly execute his idea due to it's longer flash duration, so things had to wait. In 2015, he upgraded to a Broncolor system and was ready to rock. For the liquids, Jan used a combination of equal parts finger paint, milk, and warm water. For his lighting setup, he used a Para 133 for the main and two 40x180cm strips on the sides. He "Dexter" lined his workspace (shown below) to help contain the liquids and the rest is history. 500 splashes later, things were ready for post. Jan admits he wasn't the best at Photoshop, but as with everything, you get better with practice. Special thanks to Jan for sharing his images and his process. If you want to find out more about Jan, follow him on Instagram @JanChristianZimara. Car Photography & Retouching with Easton Chang Now Available! See how all of these shots are captured and retouched. Car photography is about capturing the feelings a car evokes. Whether the emotion is speed, beauty, or just raw power, translating those feelings into an image can present a multitude of challenges. RGG EDU has partnered with world-renowned car photographer, Easton Chang, to explore the secrets behind the methods he employs to create his dynamic images. Easton will teach students how to incorporate simple and advanced techniques to capture design details that will induce drama and speed into their static images. This multi-location tutorial starts by covering the fundamentals of action and static shots at El Mirage Dry Lake Bed in California. Next, we go on-set in LA as Easton photographs an editorial cover for Super Street Magazine. In our Midwest segment, the setting goes dark and we do a series of car and motorcycle shots exploring various light painting techniques. In the final shoot, Rig-Pro founder, Andrew Thompson, demonstrates “rig setup” best practices that yield consistently great results. This week we are launching a new Podcast series focused on 8 episode seasons. Each season will be recorded in a small amount of time in 1 location with some of the world's best creatives. Season 1 was recorded in Isabela, Puerto Rico at the Annual Influencer event hosted by RGG EDU. Join us in season 1 and listen to Dani Diamond, Alastair Jolly, Jose Rosado, Ken Kaminesky, Aaron Nace, Renee Robyn, Rob Timko, and Jake Hicks. We are taking a cue from Netflix as well and will be releasing all episodes at once, available for binge download at the new dedicated website RGGEDUPODCAST.com . You can also subscribe for free to the popular podcast platforms iTunes, Google Music, Stitcher, and Soundcloud and stream through you mobile Apps. We will be publishing a new episode each week on these platforms, and you can instantly download all of the episodes from our site. Photo by RGG EDU instructor, Tim Tadder, and post by Mike Campau for Keen's UNEEK campaign. For those wanting their work to stand out, a little vibrance can go a long way. This can be attributed to our shortening retention and constant exposure to media. When you scroll through images, it's easy for a group of photos to blend and mesh until you scroll across something that catches your eye. This could be an interesting composition, something unnatural, or simply... color. Psychologically, a big colorful object will stand out on a less colorful background, so it's no surprise that an image like the one above causes you to take a pause for a longer look. Here are a few color blocking techniques that may help your work get a longer gaze or second glance. The most basic and easiest color combination is complementary colors, colors opposite of each other on the color wheel. For simplicity and to help something stand out, complementary is the way to go, especially when using one as a primary color and the other as an accent. Analogous colors are those next to each other on the color wheel. These work great as they are essentially color transitions which are easy on the eyes. Hierarchy becomes more important when using more than two color, so having one as primary color followed by the second as a support and third accent will help with compatibility. Triadic colors are colors spaced evenly around the color wheel. To make triadic color schemes work, it is important to have one primary color dominate your composition with the other two as accents. Split-complementary is an expanded variation of complementary colors and an easy tri-color palette to work with. The same rules apply as complementary colors, but you have the added flexibility of a third color to smooth out your composition. Tetradic colors are two adjacent complimentary pairs. To make this work it often helps to have a dominant primary color and balance among the rest in your color hierarchy . Similar to the tetradic, the square is made of four colors spaced evenly around the color wheel. It's also in most cases best to have a strong dominant primary color when using this scheme. If you want to learn how to apply color blocking, check out the tutorials below by RGG EDU instructors, Jake Hicks and Tim Tadder. You know those motion shots of a car rounding a bend or barreling down a straightaway? The car is in focus, but the surroundings are blurred to create the sensation of velocity and speed. Images like the one above are often times made with what car photographers call a "rig" combined with good ol' Photoshop. On high dollar commercial jobs, production companies will often rent a massive camera arm that mounts to an underside of a vehicle, enabling them to have a steady camera setup required to make dynamic rolling images. While these high dollar arms allow you to move at faster speeds with a camera, they are also very expensive and infeasible to rent for smaller shoots. This is where RigPro comes into play. RigPro allows the average person to get a similar result, but with a whole lot less work and cost. Andrew Thompson's Lotus with the RigPro rig and optional adapter/extension rod. In the rig space, there are few available options. While desirable, the market is small and incredibly niche. RigPro founder and sole operator, Andrew Thompson, assembled his own rig kit so that the average consumer would have an affordable off the shelf solution. At the heart of his rig kit are industrial grade suction cups for mounting and a custom fabricated multi-piece aluminum boom. Length and stability are two key components when doing rig shots, and Andrew's kit was designed to do just that with the ability to be easily transported by breaking down into 5ft sections. In Easton Chang's RGG EDU car photography tutorial, we demonstrate how to safely mount and shoot using a RigPro. Utilizing a closed off road, we mounted the rig on two different vehicles including a Lotus and a 911 Turbo S. We show you step by step what to do and everything required to make the shots you see above and below, including post processing. For a car photographer, a rig is a must have. While some rolling shots can be done with a chase car, a rig allows total control of where you place the car with available light and where the camera can be placed for the optimal angle without putting anybody in danger. If you want to learn more about RigPro, you can send your inquiries and purchase directly through their Facebook here. For more about our Car Photography & Retouching tutorial with Easton Chang, click here. As always, we like to celebrate every tutorial launch with a giveaway related to the subject we're teaching. Leading up to the launch of Easton's tutorial, we will be giving away a 15ft rig kit from RigPro, retail value of $799. The contest is open to everyone ages 18+ and will end 10 days after Easton's tutorial launch on February 7th, 2017. For more contest rules, click the terms & conditions button below. If you haven't yet seen the trailer to Easton's RGG EDU tutorial, click play now to watch. The recent news and articles regarding DJI becoming the majority share holder of Hasselblad has me thinking. Simply put, Hasselblad is a storied and important brand in the world of photography. In recent years the company has suffered more downs than ups. It makes me wonder where Hasselblad can go with the powerful and far reaching new technology company that is DJI. As long as I have been in the world of photography, even as a young boy, I have known about the unparalleled quality of Hasselblad cameras and glass. Obtaining a Hasselblad of my own was a long time goal and certainly meant achieving a measured level of success by owning one of their cameras. I bought my first Hasselblad from a doctor. He bought the camera intending to shoot landscapes on the weekend. In typical doctor fashion, he never found the time and sold his camera off. So I picked up a mint 500CM that only had a few rolls of film run through it along with a handful of pristine lenses. The equipment was perfect and I felt like I had arrived. At that time I think the mind set about camera equipment was different. Many photographers, myself included, viewed buying gear as an investment. An investment in myself as a photographer and ever improving professional sure, but also an investment in the physical equipment. Meaning if you purchased the right equipment an took good care of it, there existed the opportunity to recoup most of your costs by selling it in the future. That is no longer true in today’s world of photography. My feeling is that equipment is almost, not literally, but almost disposable. Technology is moving so quickly now that cameras are far out paced by new models sooner rather than later. Oh my first Hasselblad was amazing. It was glorious. It felt luxurious in my hands. The shutter release button was purposeful, solid and reactive. The camera sounded great as the mirror clicked up and the shutter released. How clearly I remember the action and the sound as you manually wound the camera to advance the film. I was grounded with that camera, truly in touch with the way it operated. It was like driving a fine Italian sports car. Hasselblad’s were well built, solid tanks of cameras produced for the military by request of the Swedish government. Hasselblad’s earliest roots can be traced back to a handshake deal between Arvid Viktor Hasselblad and George Eastman, who formed Kodak, for film distribution in Sweden. But it was after WWII that Hasselblad as a camera company took shape when Victor Hasselblad turned his sights to the consumer market by building unmatched cameras with a unique design and style. They were solid. They were reliable. And they were so good that they went to the moon. The advent of digital photography created some real changes for Hasselblad. The transition from film to digital was not easy for the manufacturer. Through multiple partnerships, and multiple changes in ownership, a revolving door of CEO’s and poor product decisions, Hasselblad has had a rough go it. The storied brand lost it’s way, was beaten up and misunderstood. Many, including me, feared that the historic brand would see the lights go off for good. This past couple of years Hasselblad has found it’s footing again with solid leadership, a return to it’s foundation and roots, along with new and relevant products. I have shot with many bands of cameras in my life, most brands actually. But the one constant in my camera bag, and camera safe, has been Hasselblad. Since I bought my first 500CM three decades ago, a Hasselblad has been my go to camera. I hope that DJI will bring new life to a brand that is so important to the photographic world. And I hope that Hasselblad’s future will be as important to to the photographic process as it’s historical relevance. Christmas comes late for us photo-tech geeks. As always, the Consumer Electronics Show (AKA CES) start the new year’s hot tech trends with juicy hardware announcements. In no particular order, here are our top 5 picks from CES 2017. Interested in Microsoft’s Surface Studio, but wanting just the brilliant screen? Not exactly Apples to Apples, but the upcoming Dell Canvas provides a similar touch experience with your current hardware given you’re a PC user. Utilizing a puck and pen similar to that of the Studio, the Canvas arrives in a highly desirable matte finish with a tilt ability up to 11 degrees for an optimal multi-display / touch workflow (Apple, please take notes). The Gorilla Glass covered screen encapsulates a 27” multi-touch Quad HD panel made to connect to any Windows 10 machine via Thunderbolt or USB. More mouth watering specs are what’s included. The Canvas digital pen has a whopping 2,048 points of pressure and best of all, both the pen and both dial/knob things are included with this bundle. If your wallet is open ready for Dell to take your hard earned greenbacks, you’ll have to be patient. The Canvas ships in April as most CES announcements at a solid price of $1,799. Just when 4k displays are starting to become commonplace, Dell drops what could be the ultimate professional display. Packing 32 inches and 33.2 million pixels, this uber panel will do 100% of both Adobe RGB and SRGB color spaces. The 10-Bit Deep Color supported monitor is a dream for professionals who have the computing horsepower. However, for many, this panel will remain a dream at a price tag of only $4,999. If you’re into video, the GH series by Panasonic was as groundbreaking as the grandfather of DSLR videography, the 5DII. It’s now been almost three years since the GH4 release and much of the video landscape has changed. We’ve now since seen two generations of the Sony A7s which has become to many the go to camera for compact video production. With so much riding on this release, Panasonic had to come out guns blazing in order to protect its marketshare. Just on specs alone, that’s exactly what they've done. Who needs built-in stabilization when you have SteadXP? SteadXP created something incredible last year and were rewarded for their innovation when they raised over half a million Euros on Kickstarter for their 3-axis stabilizer hotshoe mount camera doohickie. Shipping Spring, the Stead XP utilizes built-in gyroscopes and accelerometers to fix shaky hands, smoothing out a DSLR/Mirrorless camera and 15-70mm lens in all situations. Leave your bulky steadycam or gimbal at home as the SteadXP can do it all with a tiny footprint no larger than a flash trigger. At the current exchange rate, you can pre-order the SteadXP now for about $300 US. Click play above to watch the SteadXP in action. Speaking about 8k… we’ve got the perfect 360-degree VR cam to go with that new 8k Dell monitor. Over the years, there’s been a crazy demand for 360-degree VR content. Along for the ride has been Insta360, one of the innovators in the VR space. They have now raised the stakes for 2017 with their new “Pro” camera. Features include: 8k resolution, 60MP stills in both RAW and HDR formats, h.265 video compression, and livestream capability for instant sharing on Facebook, Youtube, and Twitter. All yours for a paltry $3,000. That concludes the top 5. Be sure to check out our Facebook @RGGEDU for more good RGG EDU content and news. As photography and technology come together in our modern world, so does our need for modernized equipment. We throw around the phrase bigger is better and quite often and make purchases based on that assumption alone. Whether it’s a new SUV, HDTV, or Cell Phone, more interactive real estate could be a plus. However, as with anything, too much of something can be a bad thing and in this case, perhaps bigger is not actually better. When I was introduced to Wacom tablets and the miracles it enables us to perform, I immediately purchased the Wacom Intuos Pro (Large) for $500. I began using it and liked it very much except for the fact that my hand became very tired, and I found it hard to continue editing after extended periods of use. You can see here in the image below how big this tablet is in reference to my 13” MacBook Pro. Pardon the messy cable management. I subsequently returned this gigantic piece of equipment and purchased the Wacom Intuos Pro small. I don't even use the entire surface area. I customized it to only use 2 / 3 of the area. It later dawned on me that the muscle memory we have retained from every day writing and drawing on regular sized paper makes a difference in how we use a tablet more efficiently. When you doodle on a napkin, do you use the entire napkin? Probably not. We often focus on a certain area and rotate our canvas around our brush zone. You can see here in the image below that my tablet is the same size as my laptop, which benefits me enormously when I travel. Kind of like with the mirrorless camera craze, you tend to use things more when they are more accessible. My images are better because I went with the smaller less boasting piece of equipment as is my editing stamina. Thoughts/comments? Leave them below. Photo and words by RGG EDU Intern, Yehuda Bortz. Edited and inspired by yours truly, Sinh Truong. Back problems? As we get older, our actions take a bigger toll on our body. Thinking longterm, we've made a fun graphic to help us photo guys and gals maintain longterm health and stamina. Some added tips to prevent future pain and strain, keep your spine strait. When working long hours in a single position, get up often and walk around. It's recommended that we are on our feet at least one hour a day, all part of the effort to keep our body straight. Even sleeping on your side can help with a pillow in between your legs. Got a tip or comment, let us know below. #GIVEAWAY Win Jake's Tutorial and a Lens! Click play to watch the Master Trailer to Jake's upcoming RGG EDU tutorial. It's almost here! Less than 5 days remain until the release of Gelled Portraiture & Retouching with master instructor, Jake Hicks. Starting today, October 13th at 12pm CDT until 11:59pm CDT Monday the 17th, enter for a chance to win one of Jake's favorite lenses used in this tutorial, the Lensbaby Composer Pro II with sweet 50 (a $300 value!). Available for every camera mount, this 50mm (Lens)baby will add some creative flare to your images. To sweeten the pot, we will also be giving one away to a lucky customer who purchases Jake's tutorial within the first 10 days. Make sure to watch the trailer above for a sneak peak into what's to come. Also, feel free to leave comments below to share your excitement for this tutorial, the prizes, and what you ate for breakfast. No purchase is necessary to participate in this giveaway. Scroll down for contest details and instructions on how to enter. Good luck! Two of these babies are going to find a new home soon. Value of both items are $299 US dollars for a total grand prize value of 598 to one winner. No purchase is necessary to enter. Entrant must be 18 years old and located in North America, Japan, Australia, and Europe. Contest is hosted by RGG EDU and emails will not be used by anyone else but RGG EDU. Contest will end Monday, October 17th at 11:59pm CDT. Winner will be announced shortly after and contacted directly via email.